Have it your way..NOT today…at least not at Burger King on Concord Pike in Wilmington. 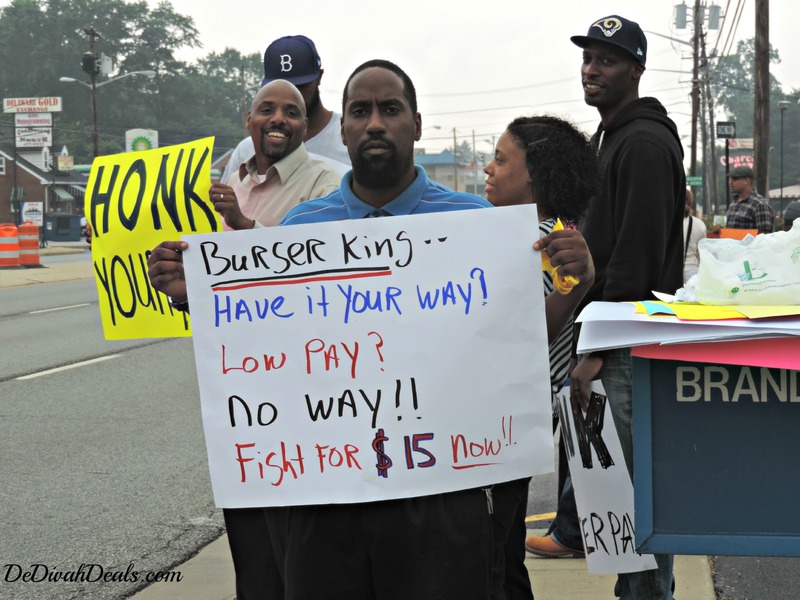 Fast Food employees at this location joined in with dozens of other workers in U.S. cities to protest their low pay and benefits. 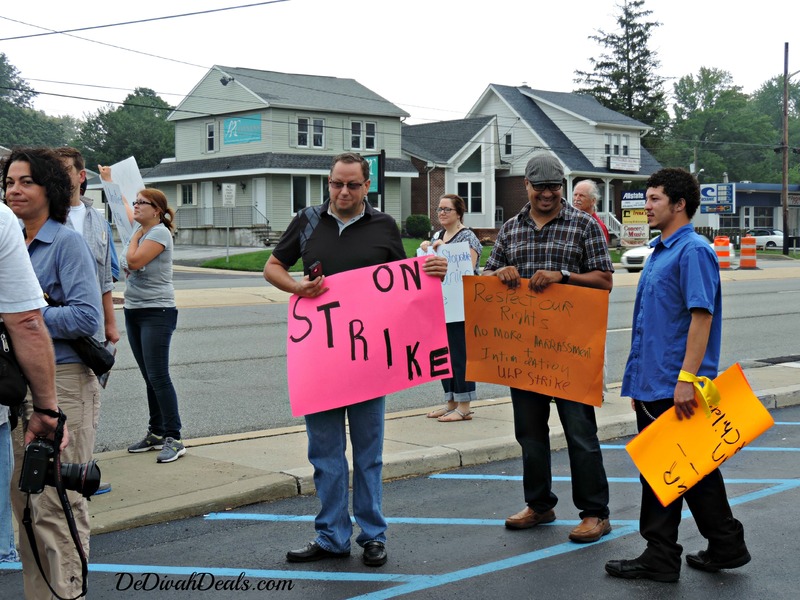 Most workers agreed that the profits these corporations earn should be used to pay higher salaries and benefits which would be better for the economy. The minimum wage of $7.25 an hour or $15,000 a year for full time employees is not enough to support a family. Jobs which were once held by High School students are now being filled by men and women with families who are living paycheck to paycheck. 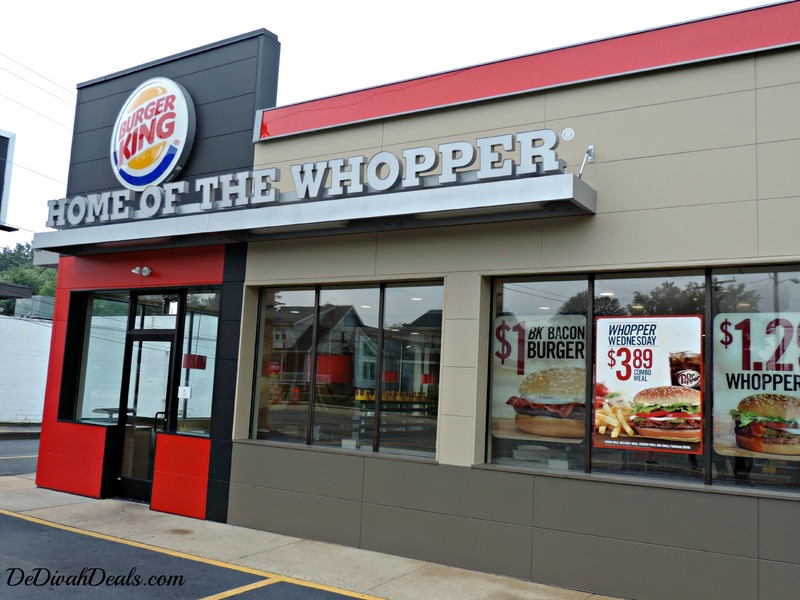 Burger King Worldwide stated that they do not make pay decisions for their independent franchises, but feels as though an increase in salaries would mean higher priced menu items. 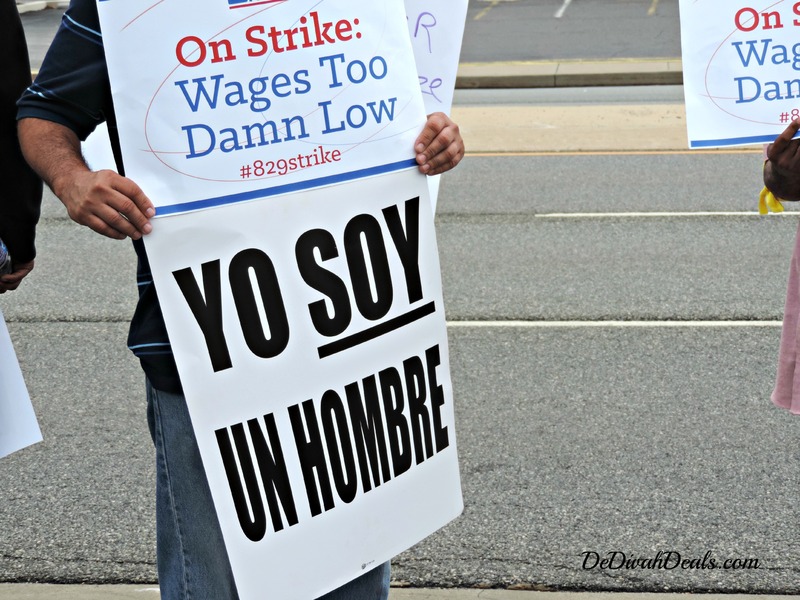 Federal Labor Law gives all workers the right to engage in “protected concerted activities” to complain about wages, working conditions or other terms of employment. Therefore, those involved in today’s protests are protected and can return to work without repercussions. 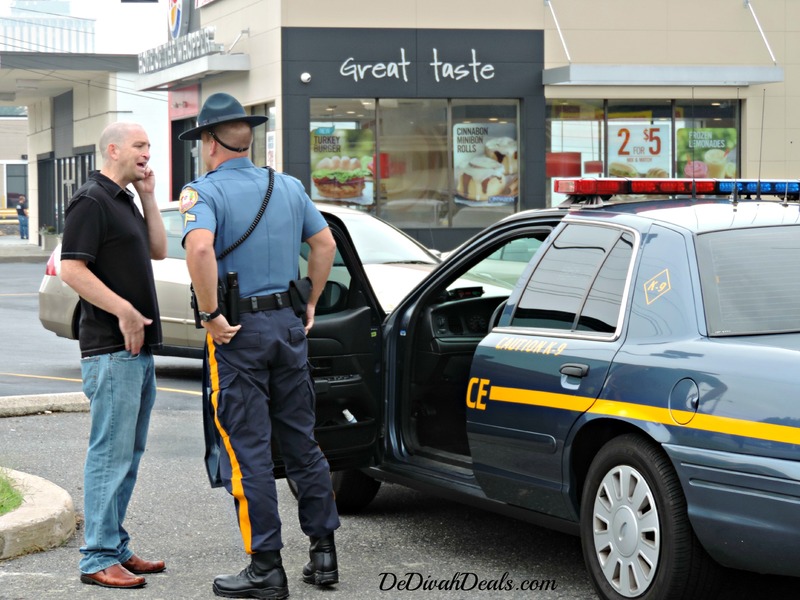 The local Police was also on hand to ensure walk-in and drive-thru customers were not affected. 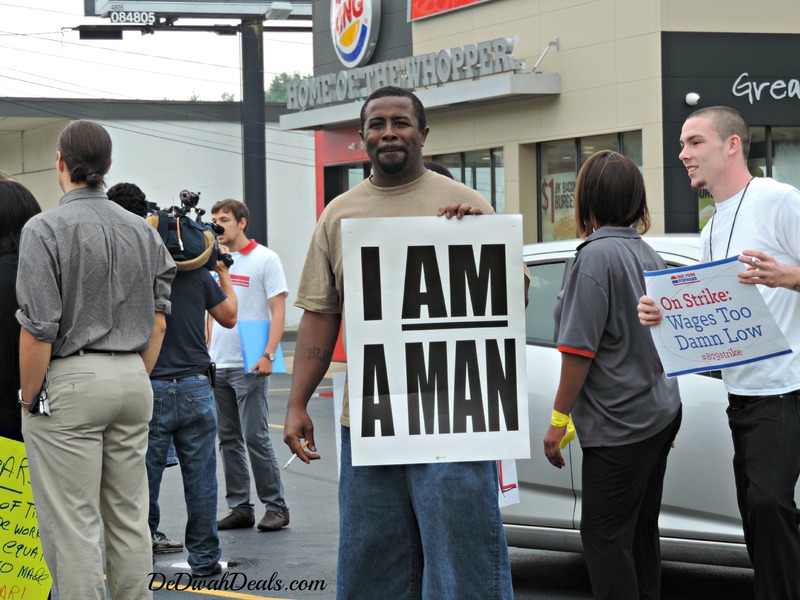 What is your opinion on today’s Fast Food Protest. Should the minimum wage be raised to $9.00 an hour as proposed by The President or higher as requested by the workers? Yes, it’s tough to live off of minimum wage, I do hope they get an increase soon. Thanks for stopping by and commenting. I couldn’t agree more. My first job was at Arthur Treachers Fish & Chips making about $2.00 an hour but I was living at home and didn’t need to support a family. Times have changed and with it should come better wages for all types of jobs. Exactly! My first real job paid $6.15/hr but I was in high school and didn’t have a family to support. This was 13 years ago and I can’t even begin to fathom that in this day and age, there are workers making only $1.10 more per hour than I was many years ago, AND on top of it they have to live off that little money, pay rent, car bills, and even child care.